I remember the day when I walked into the Channel 44 WSNS studios in Chicago and asked the secretary in the front office to speak to Ed Morris, who was the station�s manager at the time. �Do you have an appointment?� asked the secretary. �No,� I said. �Mr. Morris is a very busy man,� she said. I promised her my visit would only take a moment of his time. �What is this about?� she said. �It�s about hosting my own children�s TV show,� I replied. The secretary looked at me and said, �Give me an audition tape, and if Mr. Morris likes it he might call you.� I hastily replied, �I have never been on television or auditioned before. How can I give you an audition tape?� She barked back, �I can�t just let you walk right into Ed Morris�s office and say Steve Hart is here to see you.� My response was, �Why Not? Please, just ask Mr. Morris if he will see me just for a minute.� She said �No! You have to have an appointment, and there are no openings for a TV Show host.� With some impatience I asked, �How do you know that?� �How old are you?� she asked me. I told her, �I�ll be twenty-four in April.� She gave me a very strange look and actually started to laugh. When my request started to sound like begging and pleading, I managed to give her the biggest smile I could muster up. After what seemed like an eternity she finally said, �Have a seat, and I�ll see what I could do.� She pushed herself away from her desk and started to get up. I was so persistent by that point that I think the frustrated woman would have done anything just to get me out of her hair. After all, the banter between us lasted for at least ten minutes. For some reason, I felt a flow of amusement came over me. It was as if I had just participated in a situation comedy. Somehow I managed to hold back a visual amused expression from the secretary, but it was not an easy task. The secretary made her way down the hall toward Ed Morris� office, but before she could reach the door Mr. Morris walked out to see what the all the fuss in the front office was about. 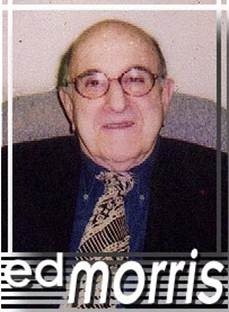 I had never met Ed Morris before and had no idea what the man looked like. When he reached the front office, close enough to make his introduction worthwhile, he said, �I�m Ed Morris.� When I looked at him, and heard his voice, I felt as if I was going to faint. 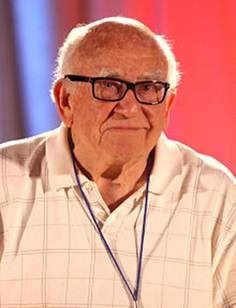 Ed looked and sounded exactly like Ed Asner who portrayed Mr. Grant on The Mary Tyler Moore Show. With that gruff voice he said, �Who are you, and what do you want?� I told him my name and said with all the confidence I could command, �I would like to have a few moments with you, Mr. Morris. I have a local children�s radio program, and want to be on television.� Then I simply and directly asked him, �Can I have my own television show on Channel 44?� Remember that I had no resume, no television experience, and no audition tape! He turned away from me and walked back to his office. This was how my strife toward a TV career began. After my meeting with Ed Morris, the only thing I kept thinking was, �Get a sponsor.� That thought kept running through my mind, along with other questions that invaded my cranial territory. Sponsor!? How was I, someone no one ever heard of, going to get a sponsor? Who did I know at that time that could help? What company would ever sponsor an unknown? Regardless of these thoughts, I was extremely determined at that time, and everything was about to change. Since I was in my teens, I had a strong interest in �ventriloquism�. I did hundreds of birthday parties for parents that wanted his or her child to have me perform with my dummy, and do magic tricks. My dummy�s name at the time was Sandy. This character was hand carved for me in the late 60s. While I was performing at Donna Walgreen�s home, (yes, the very same from the Walgreen�s Drugstore chain), one of the kids watching Sandy performing kept saying, �He looks just like Kayo.� The only Kayo I knew was from the picture on the can of the popular chocolate drink at that time. On the way home, I stopped to purchase a can of Kayo. To my amazement, the character pictured on the can looked very much like my dummy, Sandy. This immediately gave me an idea. If I could dress Sandy like the Kayo character, placing a derby on his head and the white strap across his chest, Sandy�s likeness to Kayo would become uncanny. I also had business cards that read, �Steve Hart, TV and Radio Producer�, along with my home address and telephone number. I changed Sandy to KAYO. Sandy was now renamed KAYO thanks to that famous chocolate drink and character. To my amazement, I found that the corporate office for this particular drink was located in Chicago. I called the company and asked to speak to the promotional manager for the drinks they distributed. I was transferred to a man that had a very pleasant voice and personality. 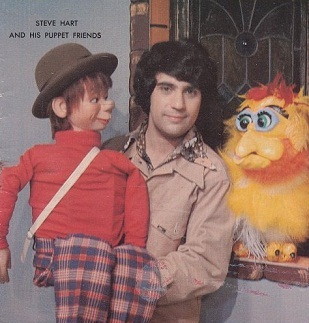 I introduced myself, and explained that my ventriloquist dummy was an exact double for the picture the company used in their national KAYO commercials. To make a long story short, the promotional manager asked me to come in with the dummy. I was ecstatic. I now had an appointment with KAYO (The Ideal Chocolate Drink) Corporation! I walked into the front office of the building holding my renamed dummy, Kayo, as if he was a real person. Using my best ventriloquial skills, the dummy told the secretary he had an appointment with this particular promotional manager. I didn�t say a word. Kayo did all the talking. I wasn�t a bad ventriloquist, and after a few minutes, I noticed the entire staff left their desks to watch my improvisational show. Everyone around me started to applaud and laugh at the same time. I decided to have some fun. I used every joke I could think of to create a conversation between my new Kayo and the office staff watching him perform. They actually began to call him KAYO as the dummy started to interact with them. I felt like a million dollars! In no time at all, I was escorted into the manager�s office, and in just fifteen minutes I had my sponsor. The only question the manager asked that I could not answer immediately was regarding the cost to air the KAYO commercials during my new television show. I told him, the sales manager of Channel 44, WSNS-TV, would contact him the next day. I didn�t even know if WSNS had a sales manager. I expressed my thanks to the manager of KAYO Corporation for speaking with me and for his positive interest, and said my goodbyes to those I had met on my way in. I promptly left the building with my new Kayo on my arm, as he nodded and said, �Goodbye,� to anyone near us. As soon as humanly possible I called WSNS-TV. I must have made some kind of impression on the secretary of WSNS during my first visit, because when I told her who I was and that I now had my sponsor, she put me right through to Ed Morris. When I told him I had my sponsor, I had the feeling he did not believe me. I went through my entire experience, even to the point of telling Ed how I dressed up the dummy to look like KAYO. Ed wrote down all the information and said he would get back to me soon. He first needed to discuss everything with Nat Gershman, the sales manager of WSNS at that time. Within a day or two I received a call from Channel 44 to come in to talk. During those days of television there were no guidelines related to commercials during children�s programming. That meant the host of the show or any dummy or puppet characters used were allowed to tell all the children watching that one product was better than another product. The dummy would be allowed to say, �KAYO Chocolate Drink was better than any other chocolate drink,� or something along that line dependent on the given commercial script. Well, folks, arrangement were made and I was on my way. I had no idea what contracts or money arrangements were, or how to discuss them. For that matter I never knew what Kayo Chocolate Drink had to pay for having me promote their drink while hosting my new TV program, �PRINCE PLANET�. My job was to create an introduction to welcome my viewers, inserts with banter between me and Kayo, my dummy, and a close. In other words, create a beginning to introduce the first cartoon, a middle containing dialogue between me and the dummy to close the first cartoon, fill time, introduce the next cartoon, and then a nice ending segment after all cartoons completed to say, �Goodbye� or �See you tomorrow boys and girls on PRINCE PLANET.� This was the entire format. The entire program consisted of me, Kayo, and the cartoons, sponsored by �KAYO� The Ideal Chocolate Drink. I was completely on my own from then on. I was also told that I would make no money for the inserts because of production costs. That was perfectly fine with me. My goal of being a TV Personality was reached. 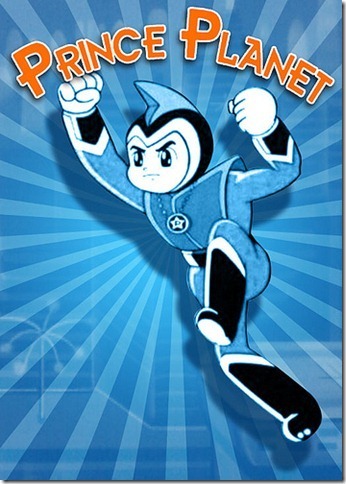 'Prince Planet' was originally known as Usei Shonen Papi (Planet Boy Papi) in Japan and was produced by Dentsu Advertising and K Fujita Associates with the animation by TCJ Tokyo. It was released in Japan in 1965-1966 and aired in Melbourne, Australia in March 1967 on channel 9 at 5pm weekdays. It last appeared on TV in March 1972 on Daryl Somers' Cartoon Corner. In the United States, Prince Planet began airing on TV on WSNS Channel 44 Chicago sometime in 1972. Channel 44 was at the time, running a block of Japanese kids� shows after school. My Ed Morris break started my career as the first human host of Prince Planet. Ironically, after hosting PRINCE PLANET for a year, I would watch the inserts, and to be perfectly honest, I thought I was a terrible host for the Japanese cartoon show. The camera showed my lips moving while the dummy was talking, and the banter between me and Kayo felt stiff and confusing. I was given sixty minutes each week to video tape the pre-cartoon inserts. There were NO re-takes. But, there was a piano, and I had a pleasant enough voice. I began to sing Danny Kaye songs with the dummy during the insert segments before the cartoon. If you are curious who played the piano while I sang, my own mother came to the rescue. At the time, my mother played piano for comedians and singers performing their acts in clubs around the Chicago area. It didn�t matter how bad I was, good old mom came through, and thought whatever I did was great, and that I could do no wrong. Here I was, after a year on the air, implanting negative criticism on myself. For what! I guess I must have been doing something right, no matter how I felt, because the Kayo Chocolate Drink�s corporate executives felt the same way as my mom. They were thrilled with my �hosting� talent. But, as a freebee, just to make sure I wasn�t cancelled, I promised to appear at any promotion for the Kayo drink the corporate executives asked me to do. I even did a National Television spot to promote KAYO CHOCOLATE DRINK. When that show ended after a couple years, I moved on to host Ultra-man, Space Giants, and then Johnny Sokko and His Flying Robot. I was still with Ed Morris. One day, Ed Morris offered me the position to host a show called the Popeye Show. I was going to host POPEYE on WSVN-TV Channel 44 in Chicago. Wow! I knew I would be crazy to refuse. Of course I accepted. Mike Torchia was my director on the Popeye shoot, and with his insight and expertise everything changed. The man was simply a genius. The show became a success. The quality was wonderful for the time. Mike went on to direct many national programs for CBS, NBC, and ABC. Alas, I guess my talent on television did not go unnoticed. I was told that PRINCE PLANET was being cancelled, went on to host the other Japanese cartoon shows, and soon was told they would be replaced with POPEYE cartoons. 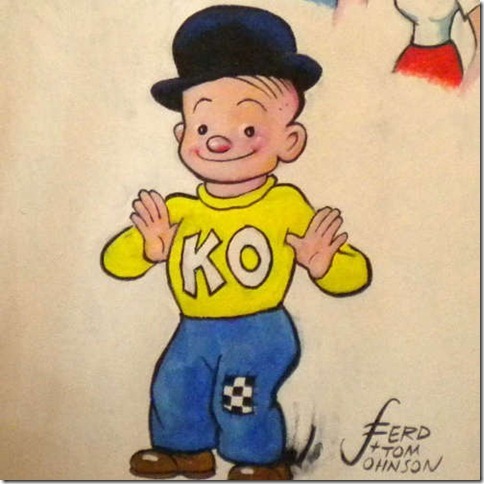 This happened after Channel 32 in Chicago lost its license with King Features for the POPEYE property. Channel 44 picked it up, placed me as the host, and the rest is history. 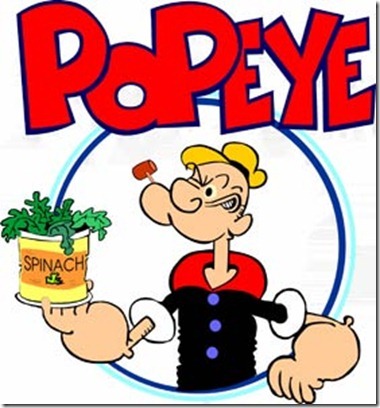 Popeye cartoons were much more popular than Prince Planet episodes. Popeye cartoons were also an easier venue to pitch and sell to sponsors, which the station did at a rapid pace. The station extended my taping time to two hours a week for the inserts of the Popeye Show. 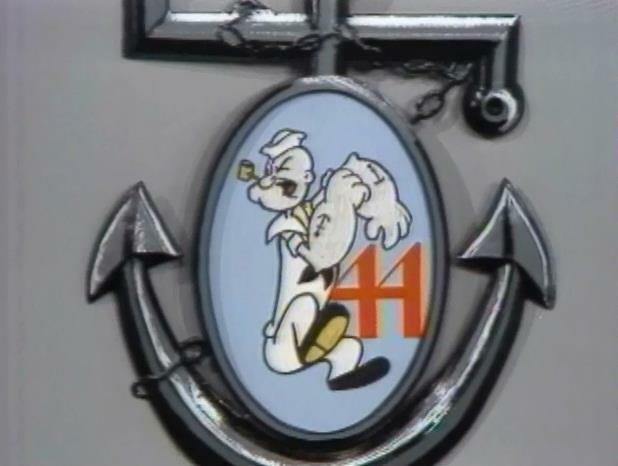 The name was soon changed to �Popeye with Steve Hart�. My name was now actually in the title of the show. The more my ratings grew the more sponsors I had. However, the station still refused to pay me. The show continued to grow in popularity. When my ratings reached approximately 200,000 a day, I realized I was being seen by more people than Bozo Circus, which was then the top children�s show in Chicago. I had no idea that I was becoming a local celebrity. I discovered something was very strange when I took my wife, Phyllis, and two daughters, Holly and Carrie to lunch at a McDonald�s. Before I knew it, there were dozens of people around me and my entire family, lined up to get my autograph. My children were very young at the time and didn�t understand what all the fuss was about. Come to think of it, I didn�t understand the entire thing myself. The show became very popular and I was nominated for three Emmy Awards. Even after the Emmy Award ceremonies, the station still refused to pay me. I was a resourceful guy at the time and I got another idea. If the station wouldn�t pay me, than maybe I could make personal appearances to generate a few dollars. This was when I met Al Dvorin, who was a successful talent agent in Chicago. His name might not mean anything to you, the reader, but the phrase he made famous will never be forgotten. 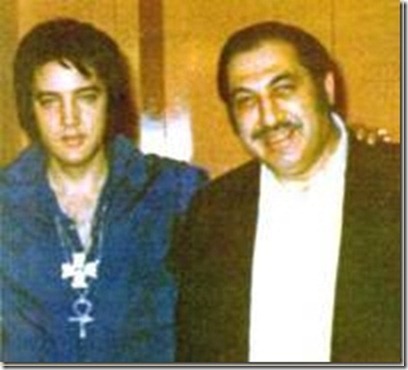 Al toured with Elvis for most of Elvis� career, and was in charge of all promotional sales such as Buttons, T-Shirts, Programs, etc. Al Dvorin was the man that coined and made the words, �ELVIS HAS LEFT THE BUILDING,� famous. Those words still remain in the mind of any Elvis fan, and will forever be part of Elvis� history. Al began booking me into every major venue and shopping center within the reach of the Channel 44 signal. He used to call me up and say, �What are you doing Saturday afternoon?� I said, �Nothing.� �Well, you are appearing at Ford City Shopping Mall, and I got you $3,000 for the appearance,� he informed me. That was a fortune of money in those days. There was, although, a down side. Al kept half the money!!! I truthfully really didn�t care. How many people could make $1,500 working for two hours signing autographs? My fees fluctuated from $3,000 - $5,000 an appearance, and to my amazement Al always got what he asked for. I didn�t care if Channel 44 ever paid me a dime, which they never did. I thought at the time I was sitting on a gold mine with Al Dvorin. Popeye with Steve Hart, to my best recollection ran for almost four years from 3:30-4:00 P.M. daily. For some reason, the station made a time-slot change when children were not home. Many of them were still in school. My ratings started to drop, and so did the sponsors. The show was eventually cancelled. Reflecting back, I feel blessed to still have the most heartwarming memories of my entire life! Bozo was broadcast on WGN TV for many years. 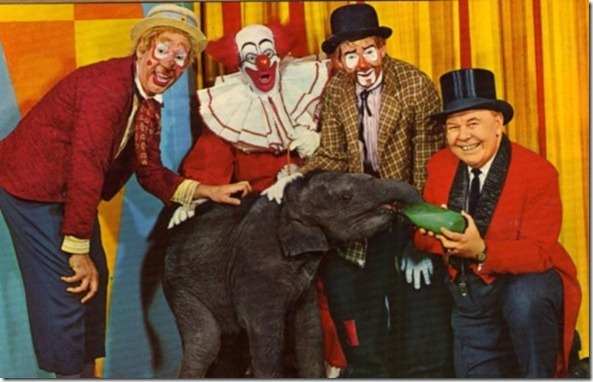 I also appeared on many of WGN�s Children�s TV shows as a guest host including Bozo Circus with ring master Ned Locke.